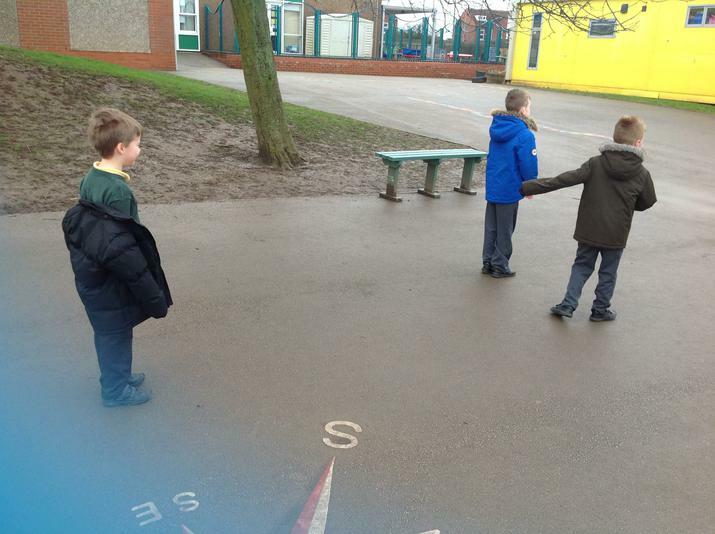 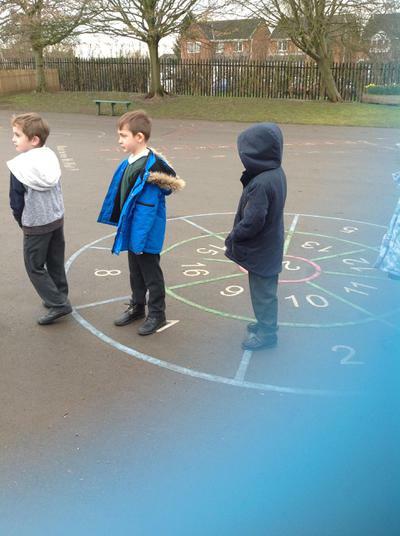 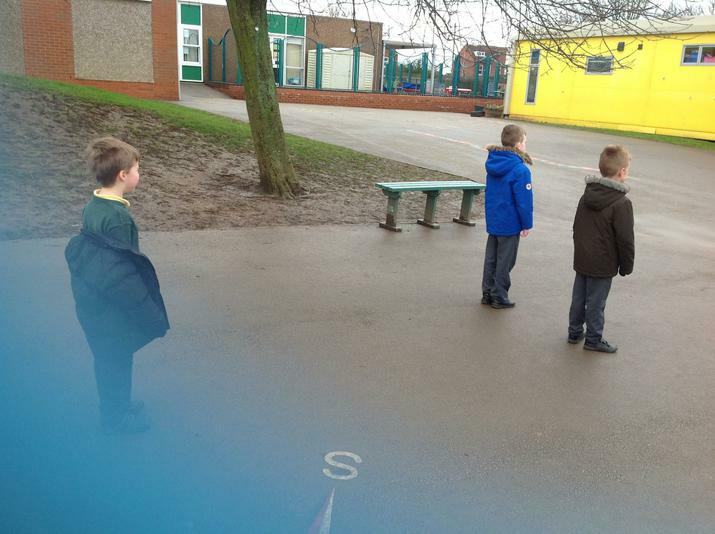 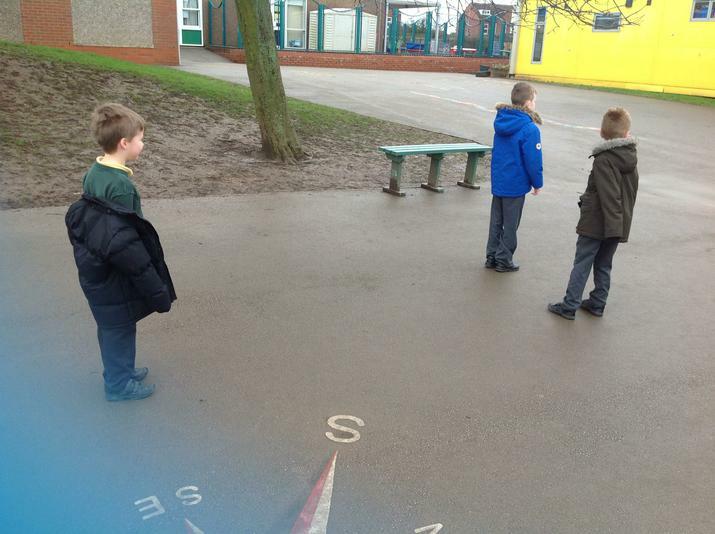 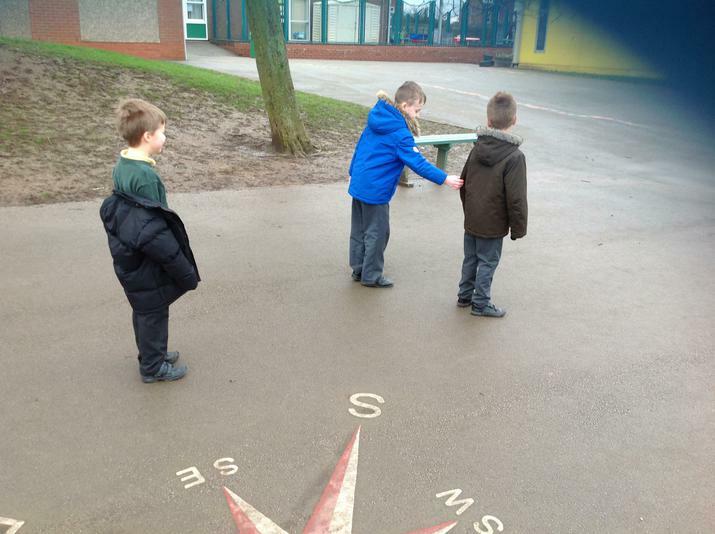 This week ( 6th March) we have been learning about position, direction and movement in Maths. 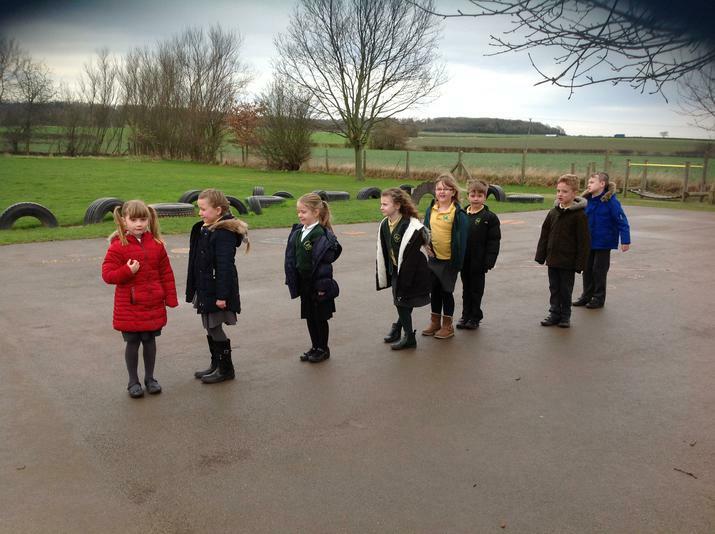 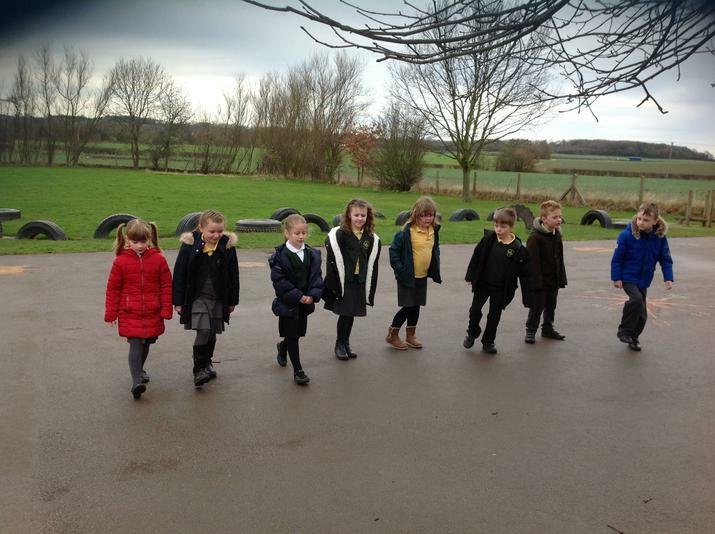 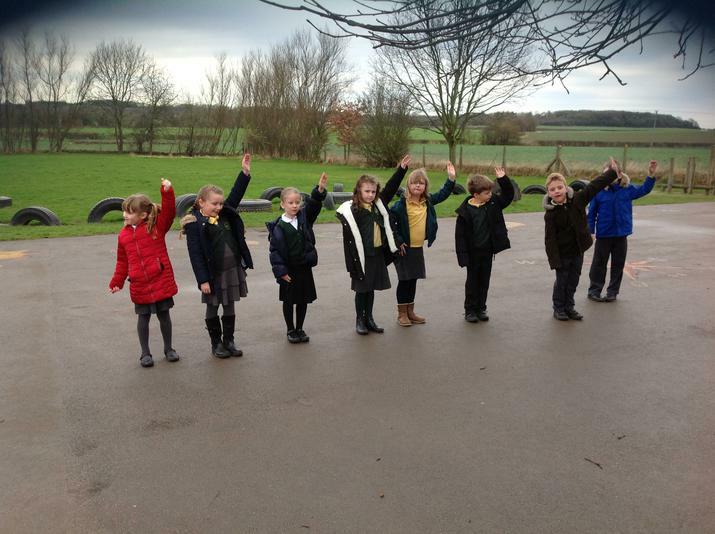 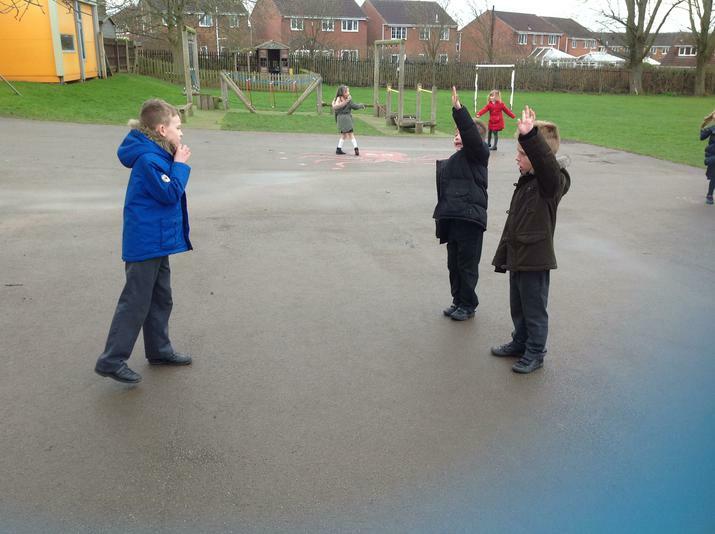 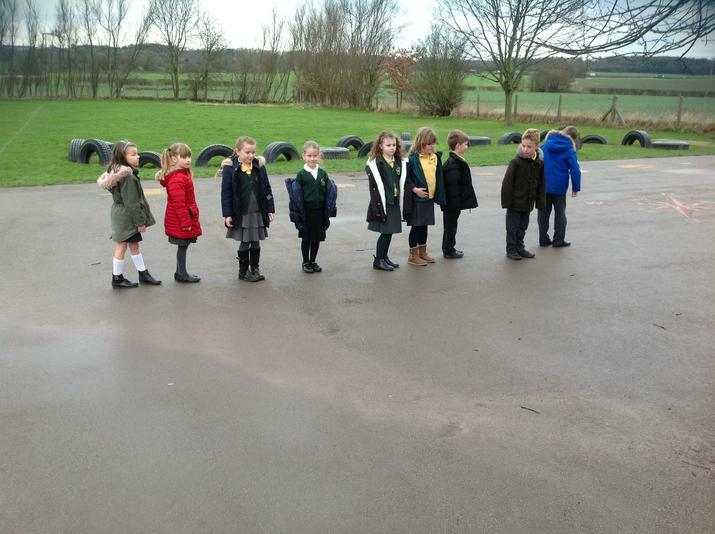 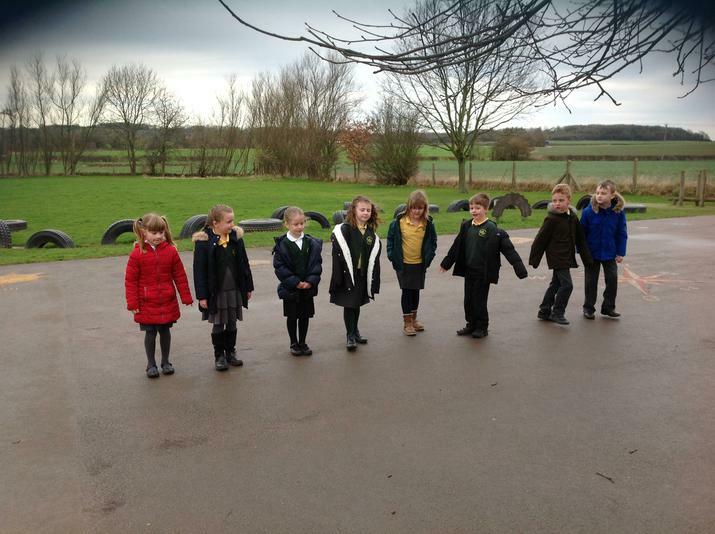 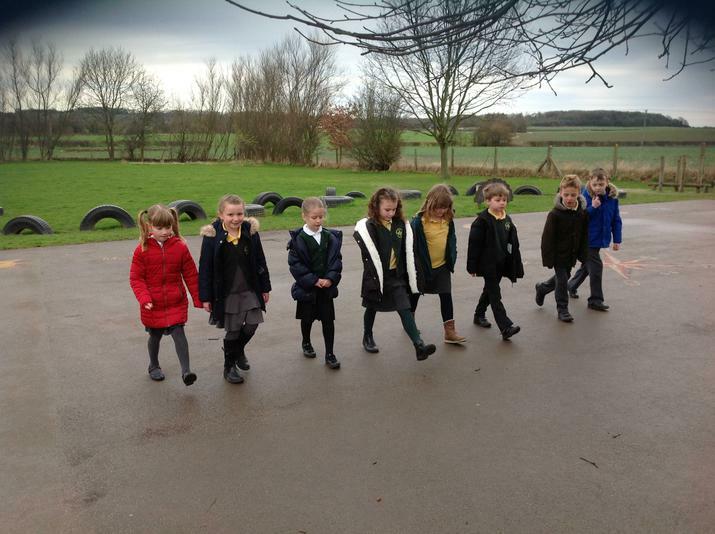 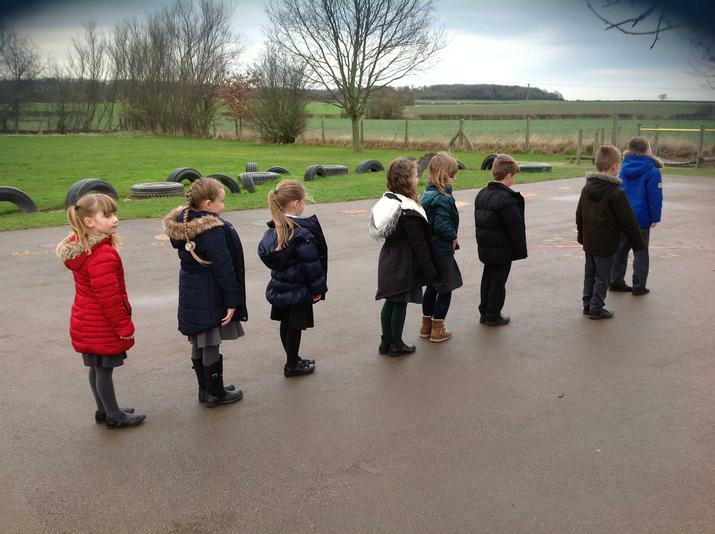 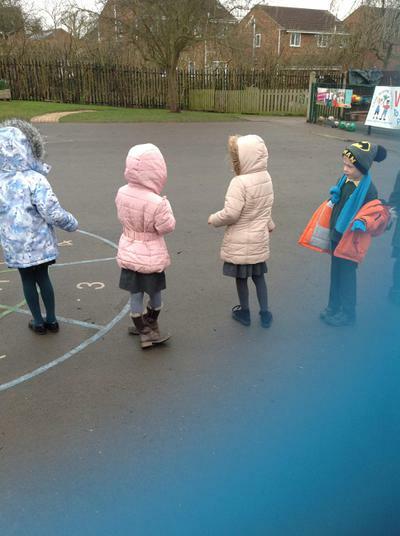 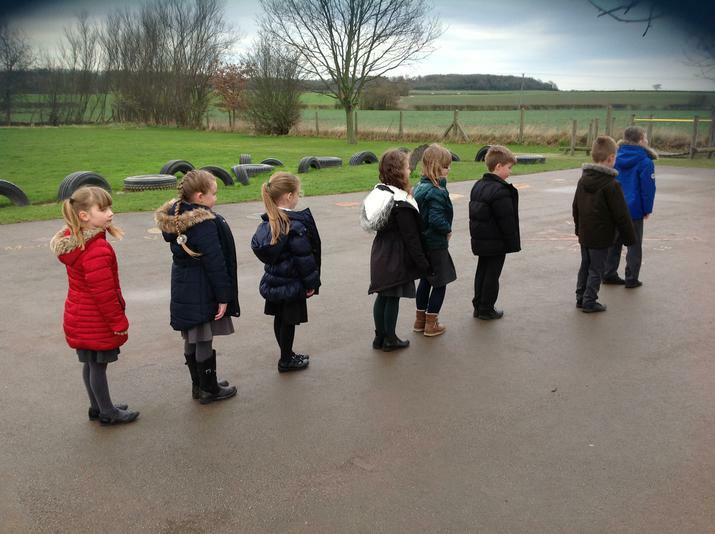 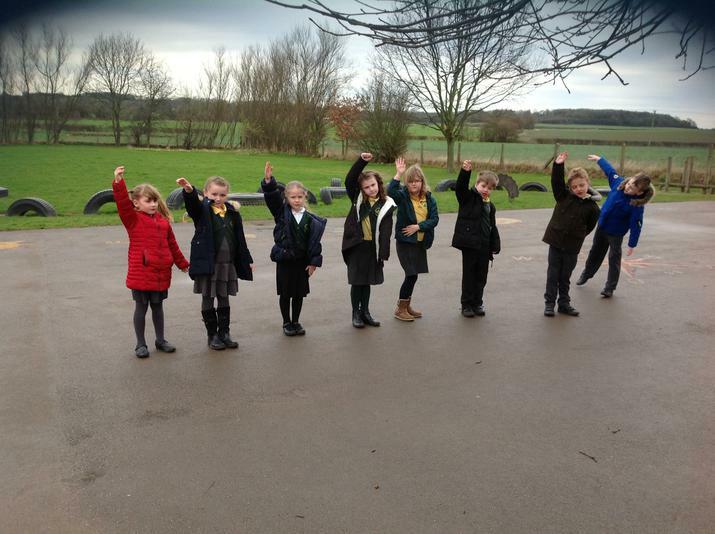 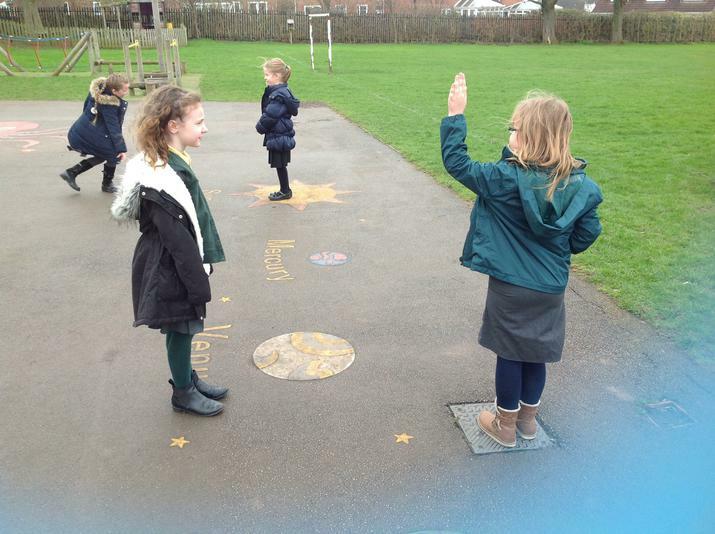 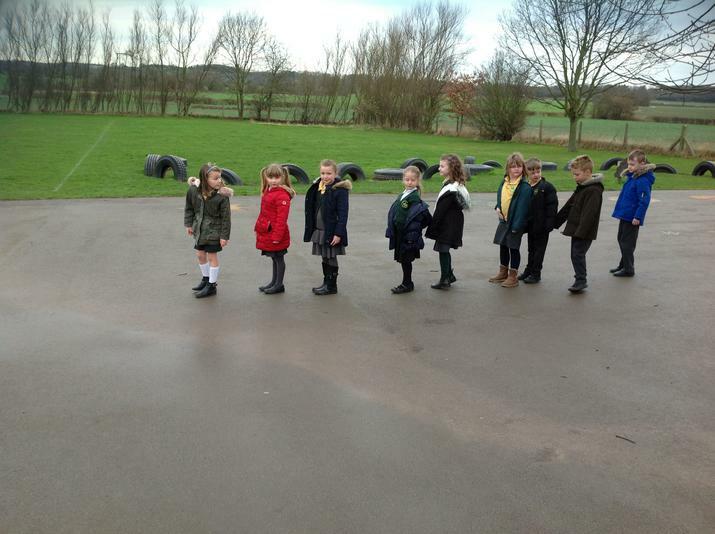 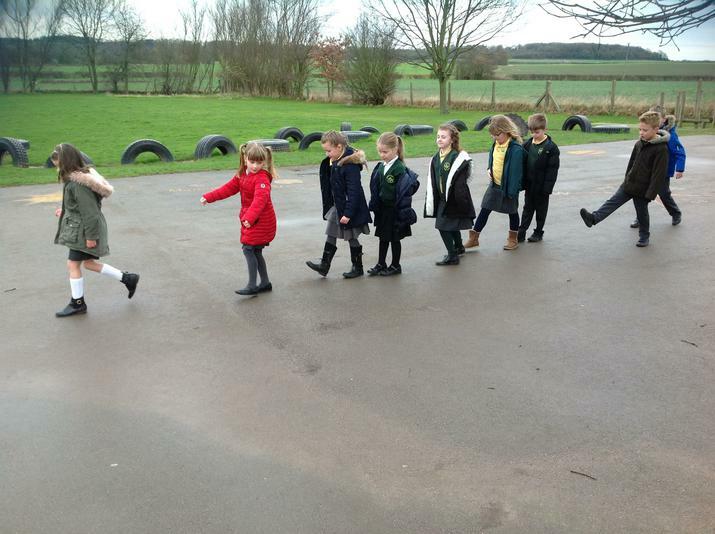 We have been learning to differentiate between our left and right hands and we have been learning to follow instructions such as move forwards or step to the left. 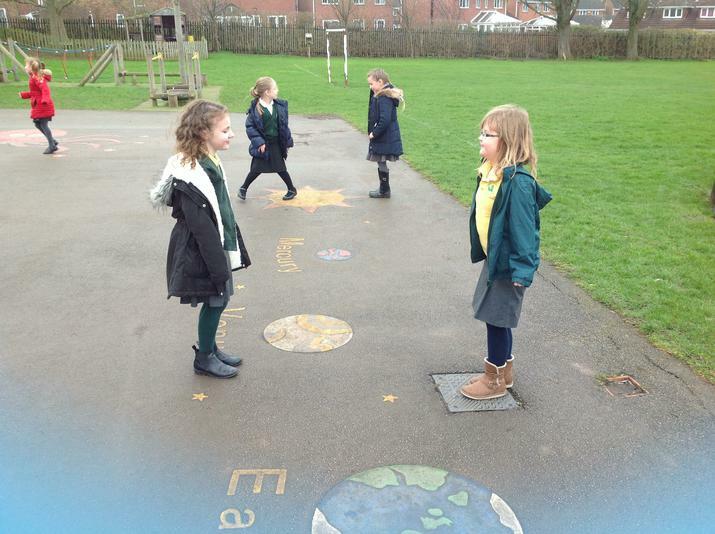 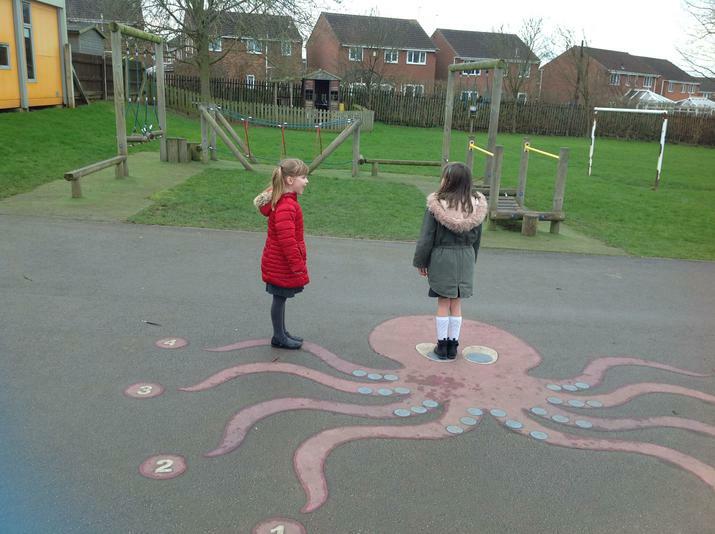 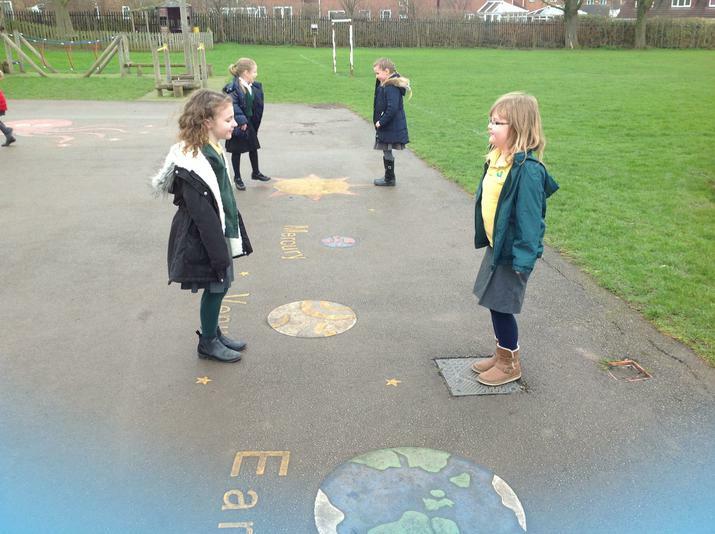 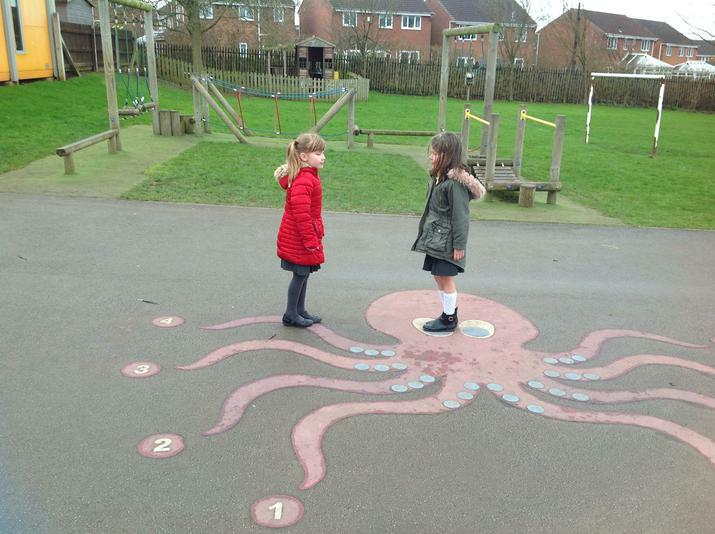 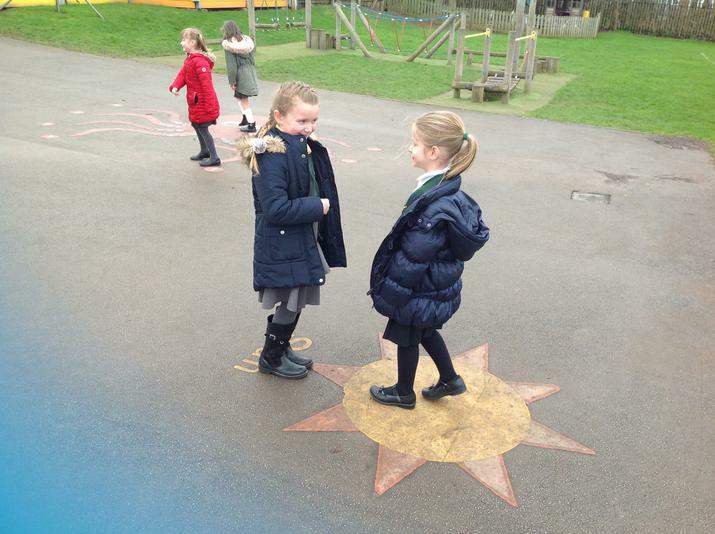 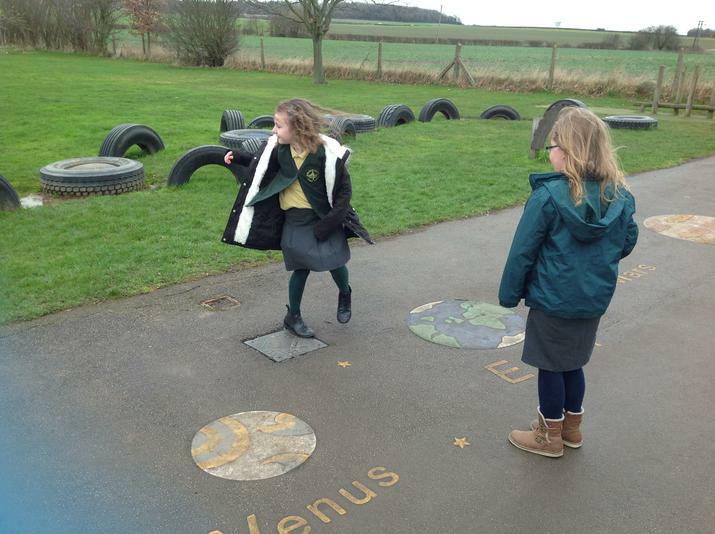 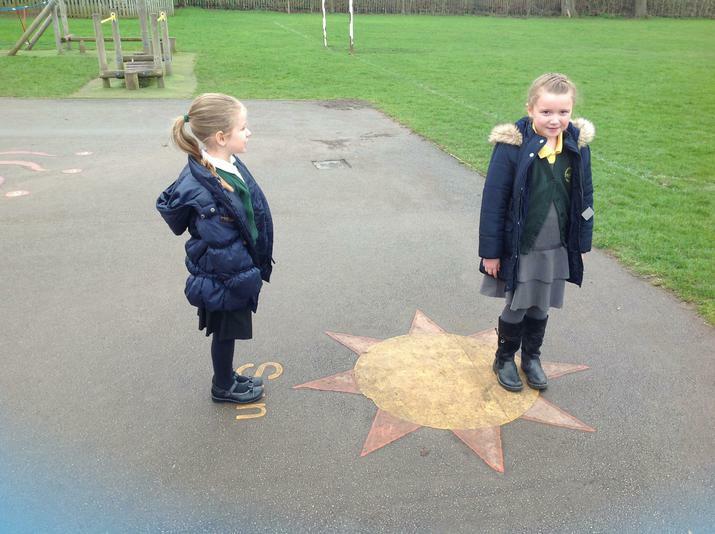 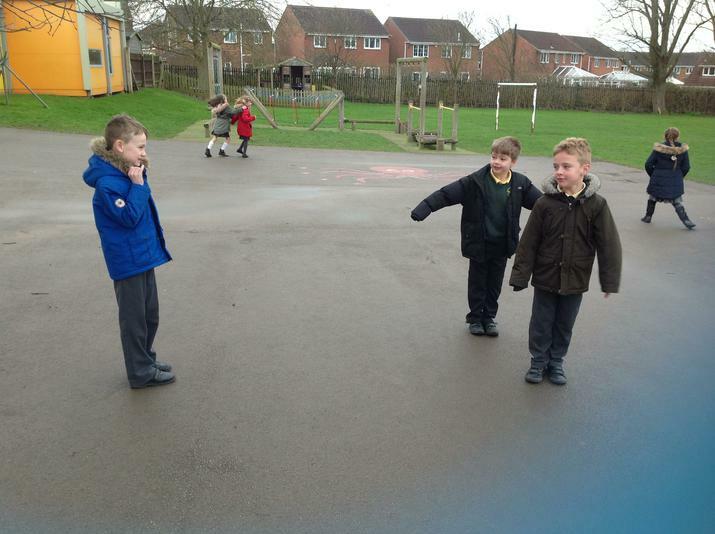 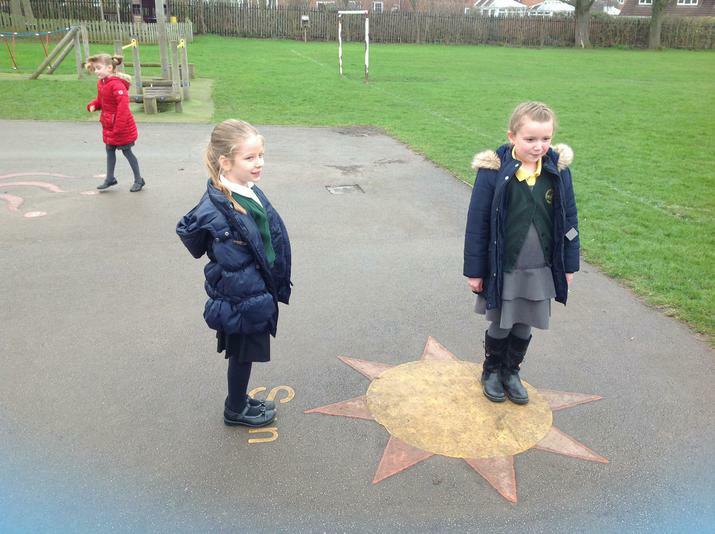 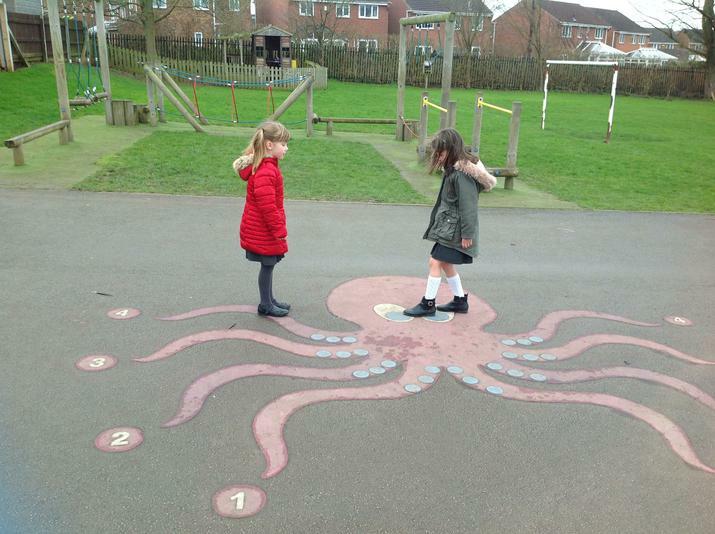 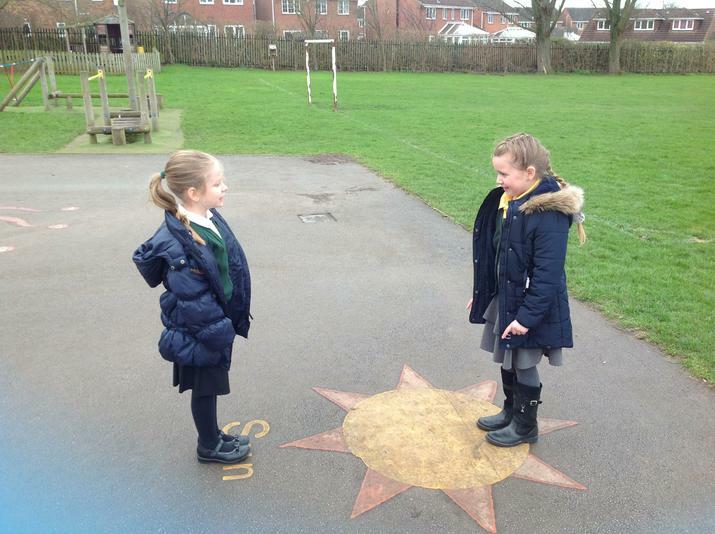 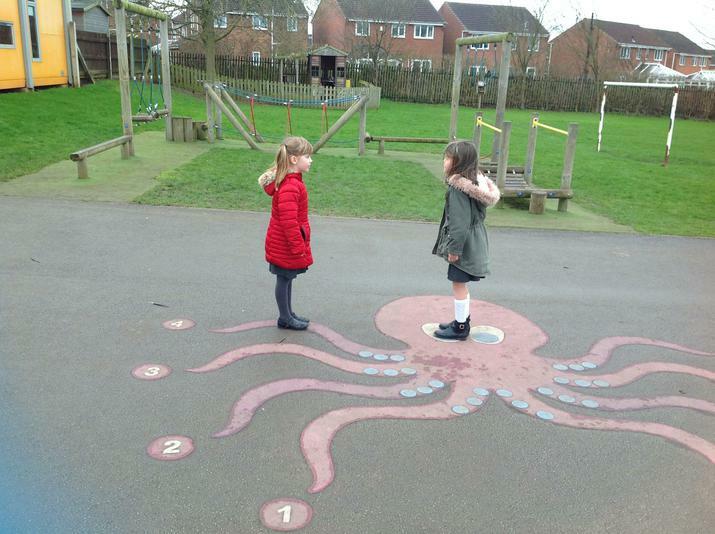 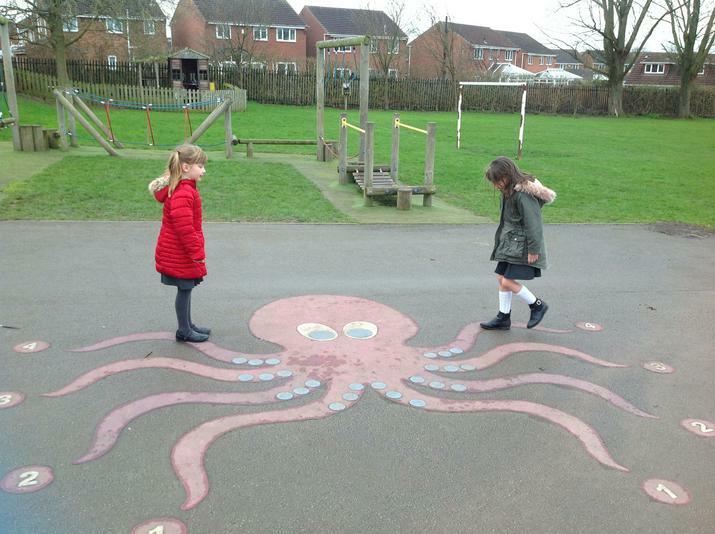 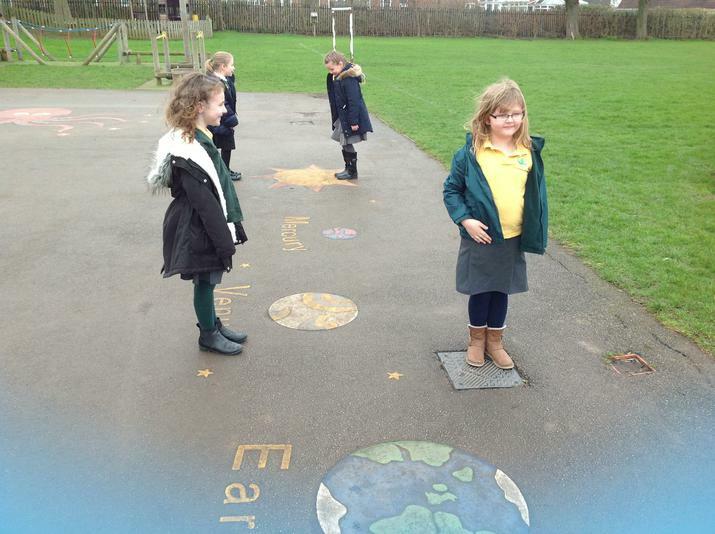 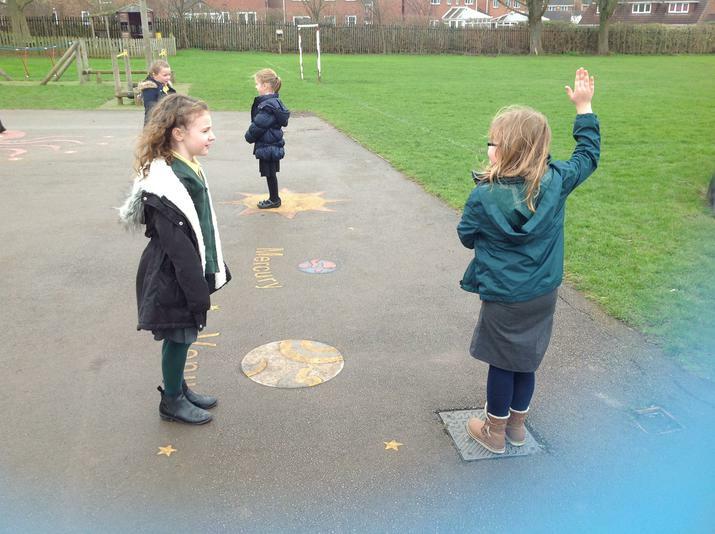 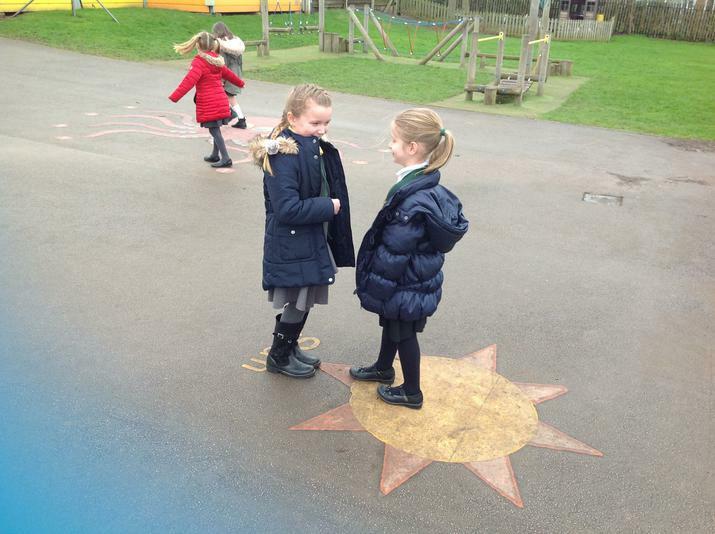 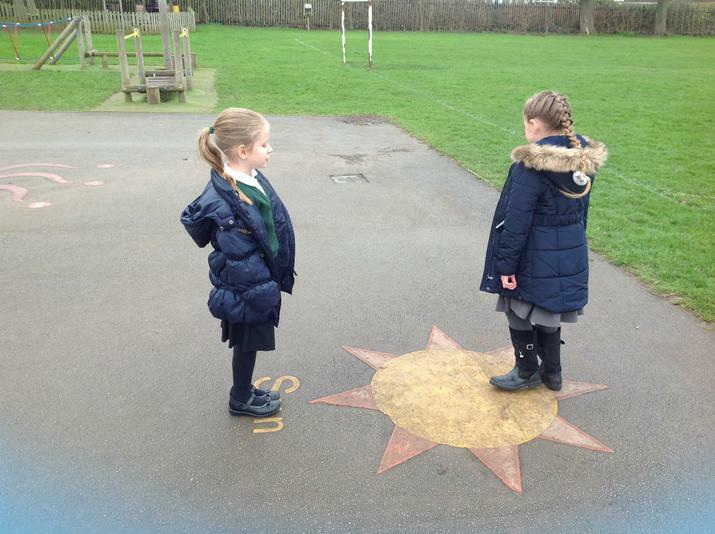 The children enjoyed working outside and with a partner.